8. Mens Soccer Utahs Mr. Soccer to Play at Iowa Western Com­mu­nity Col­le­ge! 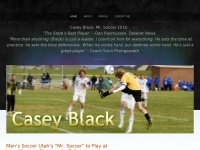 /news/mens-soccer-utahs-mr-soccer-to-play-at-iowa-western-commun.. The web server with the IP-address 104.27.186.43 used by Caseyblack.net is owned by CloudFlare and is located in San Francisco, USA. This web server runs a few other websites, mostly in the english language. Due to the robot information on the webpage, the following actions by webcrawlers are not allowed: archiving the website. All other actions by webcrawlers are allowed.